“If you favor the dramatic in your stories, this may not be the book for you,” writes Praveen Palakkazhi. 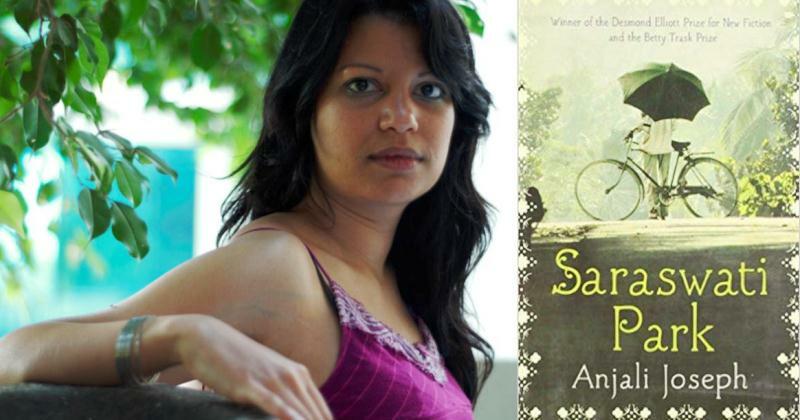 Saraswati Park was the impressive, prize-laden debut novel of Anjali Joseph and it packs a quiet punch. Set in a Mumbai suburb, it follows a phase in the life of an elderly couple, Mohan and Lakshmi, and their nephew, Ashish, who comes to live with them while he repeats his final year in college. Mohan is part of a dying breed of professional ‘letter-writers’ and spends his days with a few colleagues, near VT station, as they prepare letters and applications for the myriad customers who approach them, most of whom live on the fringes of society. He once harbored ambitions of being a writer and publishing something substantial but now lives his days in a subtle sense of resignation to life’s limits. His wife Lakshmi is a home-maker, who has settled into a daily routine of household chores and select TV soaps. Into this quiet idyll their lives have settled into, comes Mohan’s nephew Ashish, for whom circumstances have left him needing to repeat his last year of college and whose parents have to travel out of town leaving him behind. Ashish, a moody and confused (yet likeable enough) young man, does not dramatically alter the aged couple’s daily equation but, combined with a series of other events, eventually lead them to question and introspect their life together and its pent up resentments. There is a strong sense of Mumbai, the city and its middle class world, in this book. Numerous references abound to its local train culture and various stations as well as the curiously super-functional nature of life for its inhabitants who usually build their life around their commute schedules. Mohan and Lakshmi are a typical middle class couple of the city who have settled into their humdrum and strictly routine retired life. There are passing references to their grown up kids but nothing beyond the perfunctory. More attention is given to another similar character, Satish, who is Lakshmi’s unmarried brother and who is also stuck in his own rut in life. It’s the kind of life which moves forward without much upheaval or expressed angst until an event or circumstance tests its foundations. One of these circumstances, which the book spends a fair bit of time on, is Ashish’s arrival into their domestic certitude. Ashish has problems of his own, which include growing pains about his sexuality and his furtive, unsatisfactory affairs. He is portrayed as sensitive and caring towards his uncle and aunt and the interactions between them speak of an inherent honesty in its realistic and toned down portrayal of everyday life. The affairs he delves into may appear a tad enforced at times owing to the coincidences involved, but it does provide an integral marker in his changing disposition to the city and his life there. Another incident in the book, the death of one of the character’s, is probably the only time the book bursts into an urgent vigor in its description and it is handled remarkably well. The resulting estrangement between Mohan and Lakshmi is, like the rest of the story, a slow burning imposition on the reader rather than one of dramatic license. The culmination of the character arcs and the story is subtle and yet quite impactful on our psyche with its endearing platitudes to places and homes left behind while we contemplate life away from them. Ashish realizes the simple truth that it is when one realizes that it is time to leave that one misses a place or a home the most. But go we must, for otherwise, how can we ever really understand the worth of what we had? I’ve used the word a few times already here, but ‘quiet’ is the perfect word to describe the storytelling style. On the surface, there doesn’t appear to be much going on. If you favor the dramatic in your stories, this may not be the book for you. Also, there is a good chance that those of us familiar with the organized and wondrous chaos that Mumbai (or more specifically ‘Bombay’ here) can be, will find this book, with its numerous references to the city’s various sites, more appealing and easier to relate to. However, the ease and comfort with which this book delves into the lives of these seemingly ordinary people speaks a universal language that can be sampled by readers everywhere. This is not a very strenuous read, which, maybe, is its biggest accomplishment. Praveen Palakkazhi works in the Tech industry, though his primary interests lie in literature, world cinema and a bit of health and fitness. He lives with his wife Ashwathy in Bengaluru.